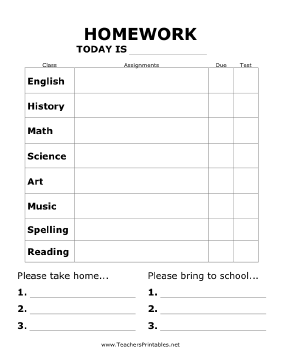 This free, printable poster is great to hang in a classroom as a reminder of upcoming homework assignments and tests. It features the date and a grid with slots to list class subjects, assignments, due dates and test dates. Some subjects are provided, such as English, history, math and science.